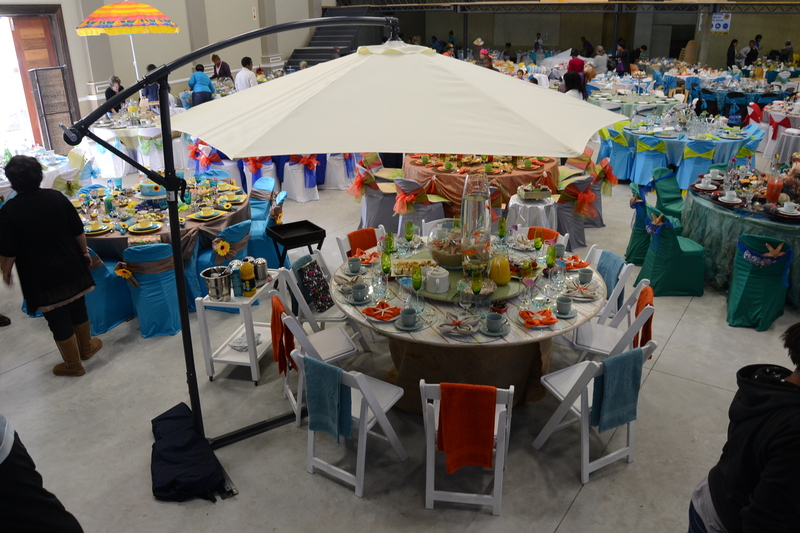 Victory Ministries International hosts as annual Ladies High Tea at various locations within Port Elizabeth. The 2016 theme was “Vintage”. During the last five years the event has brought about an array of amazing table centre-pieces and showcased jaw-dropping creativity from participants. Guests has described the annual high tea events as exciting and inspiring. The Lord laid it on Pastor Eunice Liberty’s heart to bring women together in a special way. Since the first high tea, her goal each year is to take ordinary women to a place where they begin to experience the extra-ordinary as being ordinary. After witnessing the high level of excellence each year, it is clear that the extra-ordinary has become the norm. This year prizes will be awarded for the centre piece, best food, best décor, most creative table and the best table. Judging is done according to a table number to ensure fairness and impartiality. Pastor Jerome Liberty has in the past shared encouraging words with the ladies and told them to press on and be pioneers in their fields of gifting. With so much excitement building up over the last few weeks as young and old have been preparing for this vintage-themed event, we are expecting another high tea pár excellence.